Conflict is generally a word with strong negative connotations. When most people think of conflict we think of disagreements, uncomfortable arguments, even outright war. At the same time, we all know that on some level conflict is the process of differing ideas, mores, and goals coming to resolution. Without conflict there could be no change, growth, or innovation. 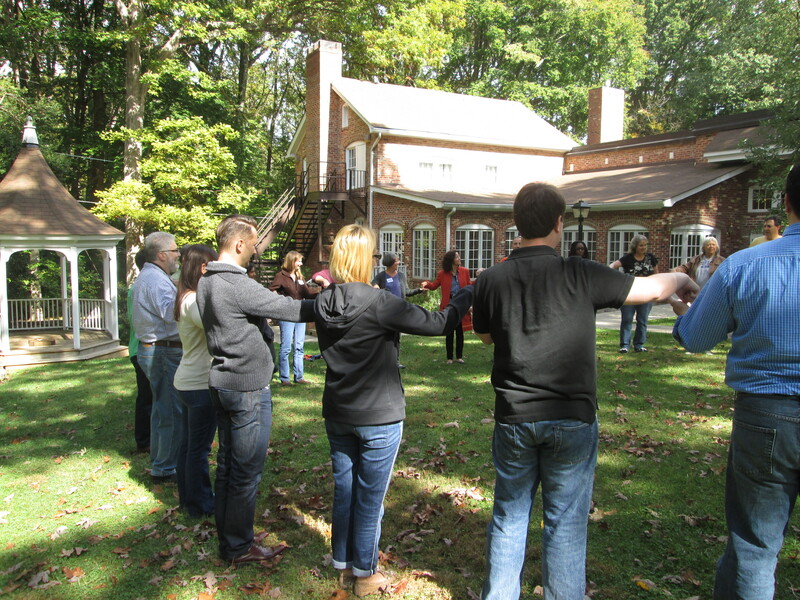 As a teambuilding guide, my job is to teach people how to approach conflict in constructive ways that result in good decisions, and a stronger team. While each team approaches conflict in their own unique way, highly successful teams all exhibit the same 3 characteristics. The most important aspect of any conflict is the mindset with which players approach the situation. Strong teams approach conflict with confidence, the conflict is a means to an end, with the end being growth. Members must recognize that conflict is for the good of the group and not for the benefit of any single individual. More importantly each person must recognize that others in the group are also operating out of an interest for the group and not out of a personal interest. Without conflict there could be no change, growth, or innovation. All this starts with a high level of group trust. Trust can be built by dedicating some time for the group to relax. This can be a luncheon or office party off site. Another method would be a simple trust walk. 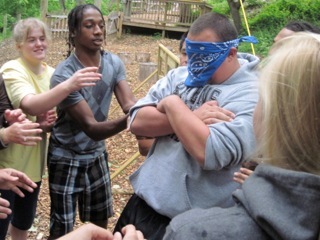 Half the group is blindfolded and their partners give them verbal only instruction to walk safely to some designated spot. Then the roles are reversed. This exercise emphasizes the need for clear communication and trust of the other person. Next the members of the group need to all have the opportunity to be heard. Heard does not mean argued or debated, but instead genuinely listened to by all. Not everyone in a group has equal skill/comfort with speaking. Dismissiveness based on a lack of these skills only closes the group off from more potentially useful ideas or perspectives. The opportunity to be heard does not require that everyone speak, but rather that everyone is at least given a comfortable opportunity to speak. Input should not be forced, but the opportunity needs to be provided. The next step is what people often dread most, the discussion and subsequent debate. Inevitably some ideas will be rejected. For most groups this causes bruised egos and angry teammates. The skill that great teams have is that their members do not hold personal attachments to their ideas. They do not have a pony in the race, nor do they see an idea as “Bill’s idea.” By looking beyond the individual, to the needs of the group, a decision is about the group’s well being, and success or failure is credited to the group not an individual. By embracing this belief, members of a group can discuss ideas, approaches, and problems without fear. Group members are freed to be honest without fear of judgment or reprisal. Whatever the group decision is, there will be a high degree of buy in, and the group will move together as one team. Everyone brings a different perspective to a discussion based on his or her personality, background and experiences. An interesting exercise that encourages everyone to talk and give his or her perspective is an exercise we call Bull Ring. A circular ring has strings radiating out that each member of the group must hold. In the middle of the ring is a post with the ring on the post base and on top of the post is the ball. The group task is to lift and move the ball back on the post, which is moved to a new location. What is interesting about this exercise is that because of his or her location around the ring, each person has a slightly different perspective. What looks good to people positioned at 12 or 6 o’clock may look bad from the perspective of the team members at 3 and 9 o’clock. This exercise emphasizes having a coordinated effort and listening to everyone’s perspective to be successful. These three characteristics are an ideal, and very few groups operate with them on a regular basis. The groups that do embrace this approach and these values do benefit greatly. A team that approaches conflict with a high degree of trust that all members of the group are acting in the group’s best interest will be more open to exploring the myriad options for a decision. A group that allows all members to be heard will avoid groupthink while ensuring that all members are approaching a problem with all the available information. Finally, a group that recognizes that the value of an idea as independent of a person will be able to debate ideas on their merits, will be less likely to have bruised egos, and will have strong group buy in. If you would like to improve team performance through constructive use of conflict, call us at 301-725-1313 or click here for a team building inquiry form. This entry was posted on Tuesday, April 7th, 2015 at 10:00 am. Both comments and pings are currently closed.